We really can wrap up our monthly reads around here. Truly. It's just that almost every person hosting a discussion for the book club is also a mother of multiple children. If that doesn't explain the delay then I won't bother trying to explain further. Stephanie from Everyday Family Living (an awesome mother of 5) hosted February's book club read, choosing Little House on the Prairie , by Laura Ingalls Wilder. She chose it because she wanted to read it aloud with her little girl. But I'll let her do the explaining . . .
"Mama, read to me!" Over and over my seven year old daughter, Ellie, asks me to read aloud to her. So, with book in hand, we snuggle together under the covers on my bed and leave behind our world of technology and busyness. 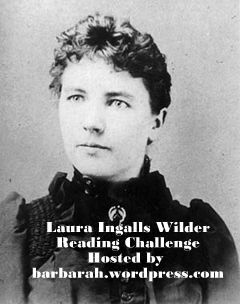 I enjoy escaping to the world Laura Ingalls Wilder shares with us in Little House on the Prairie . Her straightforward, no-nonsense writing style allows me to see the wind blowing through the tall prairie grass, smell the smoke curling out of the log cabin chimney, and taste the bacon fried for breakfast. Through the years I've read aloud this entire series with my children. I like the way they learn about westward U.S. expansion and settlement through literature instead of a boring textbook. I also like the way they learn that the Ingalls family works together as a team, just like we do. Each family member is important for their survival and the love they demonstrate for each other is a joy to witness. However, Little House on the Prairie is not without it's tense moments. Pa's attitude toward the Indians reflects the prejudices and misunderstandings of his time period. My children and I have discussed how prejudice and racism is based on fear and lack of knowledge. The best way to combat prejudice is to learn about other cultures and traditions. 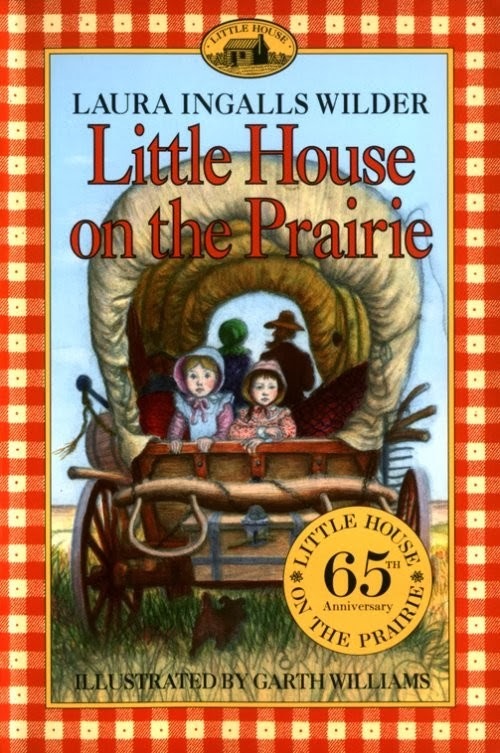 As a further note, although the book club was specifically reading Little House on the Prairie , we invited people to read whichever book in the Little House series that they chose. I, Carrie, have been reading On the Banks of Plum Creek aloud with my own kids because that's where we are in the series. We're a few chapters away from the end of our read so I'll be posting my own review next week and linking back to this post. We hope you have enjoyed your read this past month. 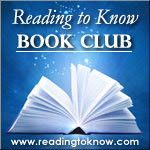 We'll be discussing the next book club read later on in the week. If you did read with us and have a blog post and/or thoughts to share on your own Little House read, please link up and comment in the comment section below. I ended up noticing the prejudices a lot more this time around. 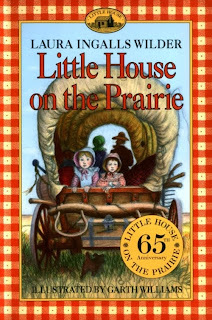 I read the Little House books independently as a child, starting around age 6 or 7--and, for one reason or another, had a "noble savage" view but completely missed the injustices seen in Little House on the Prairie. I read Farmer Boy about Almanzo's childhood: my review is here: http://barbarah.wordpress.com/2014/02/27/book-review-farmer-boy/. I enjoy the visits to the prairie but with every read-though I am more glad I didn't live in that time, though I admire much about the people (the work ethic, common sense, and frugality) and I think it was probably a great time for raising children. I think the prejudices were products of the time - not to excuse them, but I think they were mostly borne out of fear of attack. The average homesteader probably didn't have the big picture that "no wonder these people are attacking when they had this land first." The first time I read through the series with my children I was SHOCKED at the prejudices expressed. I have zero memory of them from reading the series as a child. Back when my oldest was barely 5 I skipped over those parts. Now that he is 10 (and my 4th child is 5) I read them, but we discuss the fear and how attitudes have changed over time. Farmer Boy is my sons' favorite. It makes ME hungry to read the book! I like to use it to remind them that they don't have all that many chores after all!! I didn't manage to read this month...Little House at that! How sad. My husband has been reading chapter books to the kids at bedtime, and I read a different one at the bus stop...so I knew it'd take me a while to read one of these. We've listened to them on CD and M has read independently (and had her birthday party a couple years ago), but I think they are ready for it as a read aloud. We read These Happy Golden Years and I blogged a few thoughts. Here's my post about Little House on the Prairie as well as the story of my great-grandfather who had similar experiences to the Ingalls family. Great conversation with my class about Friday's chapter!